The year is zoomin by, its already the last week of July. No break in the weather, the next 7 days will look like the last 7 days. Sunday was the 23rd day in a row over 100 degrees. To help beat the heat, the Vagabond players will be performing "Dashing through the Snow" opening later this week in the Iris Theater located at Books and Crannies. I am running a 10K on August 14th. The race is the Hottest Half & 10K at Norbuck Park. High School football practice gets started in August. Terrell Tigers football season tickets go on sale August 1st. Click here for more information. Hopefully, the NFL lockout will be over soon. I am ready for a new fantasy football season to start. 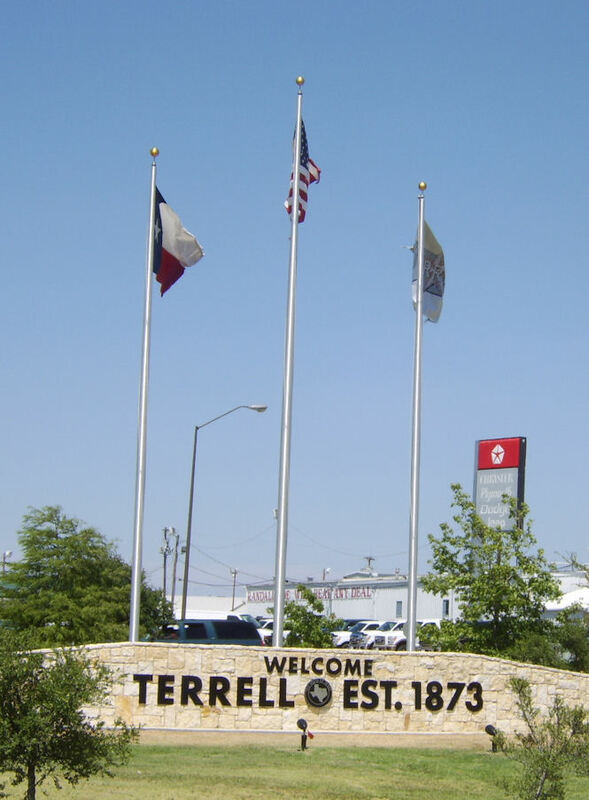 August 19th (my Birthday) is the Taste of Terrell. This year its moving to the Terrell High School West cafeteria. Tickets are $10 and available at the Chamber of Commerce, American National Bank (Main) and at the door. Last years event was a huge success. The Scott Kelby World Wide Photowalk was pushed back this year. The final date hasn't been announced by they are looking at the first weekend in October. We are looking for ideas on where to have our walk this year. The past two years, we walked downtown Terrell and the Griffith Homeplace. If you have a suggestion send me an email, jimklenke@terrelldailyphoto.com. This is just strange. A car dealership in Rockwall had 140 wheels stolen off of new cars and suvs. The dealership moved from Terrell up to Rockwall a few years ago. I bet nothing like that ever happened to them in Terrell.